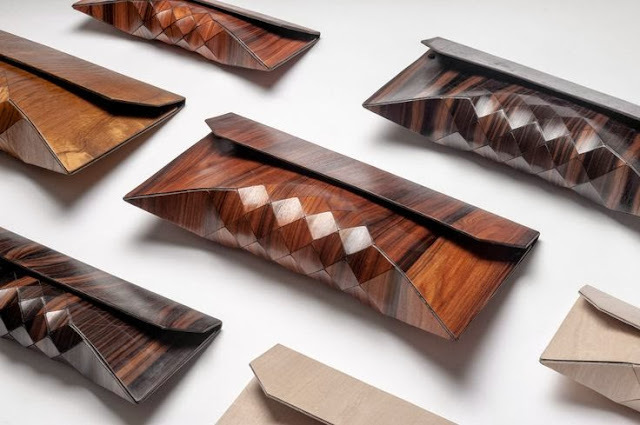 I'm in love with these architectural wood skin purses constructed from 100% wood by textile designers Tesler + Mendelovitch. The duo who researches and experiments with a wide range of materials have created an innovative textile that has the properties, texture and appearance of wood; yet it is flexible. They call it "wearable wood." The material informs its geometrical, clean-lined shape.... the detailing is beautiful and sculptural. They have approached fashion in a fashion forward and thoughtful way using technology and scientific methods. It's a clutch that makes a statement! 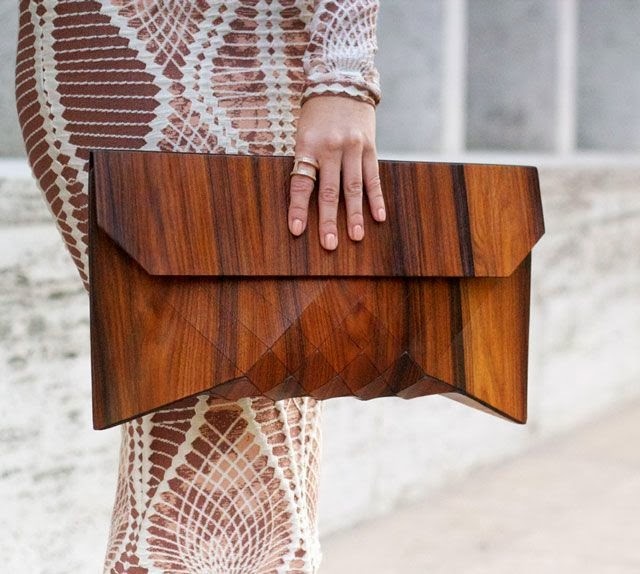 Every clutch is hand-made by the designers and is extremely versatile, light and designed with intricate calculated patterns....and so easy to open, grasp and hold under your arm. 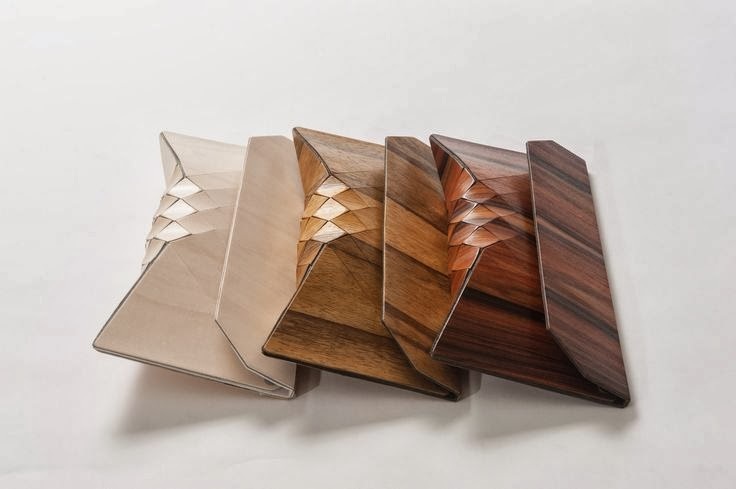 Because they are one-of-a-kind wooden clutches, there is a limited supply. The designers assure that they are made to last! You can purchase them on the Tesler + Mendelovitch website.